326:    * Make sure we have a "current" VMCS to work with. 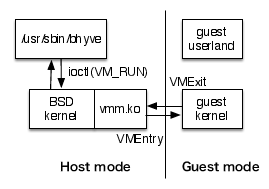 229:    * Restore guest state that is not automatically loaded from the vmcs. 236:    * Capture the reason why vmlaunch failed.